While the media has painted, rightfully so or not, that the Wall Street protestors are just a bunch of hippies, radicals and druggies, I believe that the discontentment they are expressing is valid and widespread. As a father and a filmmaker, I’d like to see a more representative face put on this movement – one that reflects our growing concerns about our children and their future. 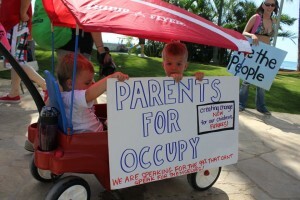 Therefore, I am volunteering my services to create a video for Parents Occupy Wall Street. 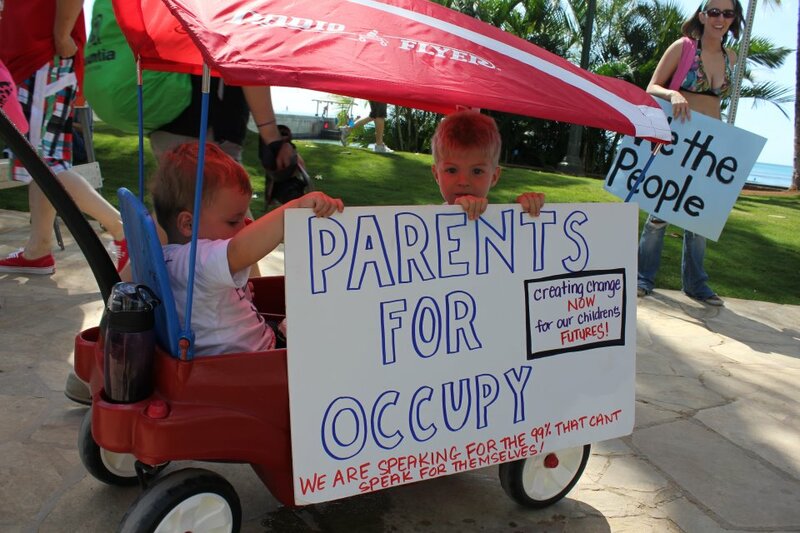 On this Friday, October 21st in Zuccotti Park, they will be conducting a “Family Sleep Over” and welcome all families to join them. Families are invited to come for the whole night or just to stop by and show some support. Details about this event are on their website. Obviously, this is a stretch for most families to attend, mine included. However, if you feel as strongly about this movement as I do, then I invite you to send either a photo or video of your family holding up a sign or banner in a similar way as what these other families have done.These images will be included in a short film I will be making about this group. Photo and video files can be sent to parents@everythingindependent.com. Please be sure to identify who is in the image(s) that you send.